From Germany: via highway A7 to Kempten-Fuessen-Fernpass-Imst-A12, or B171 and exit at Oetztal-B186 to Oetz/Sautens or via Highway A8 from Munich to Rosenheim-Kufstein-A12 - take exit Oetztal. From Switzerland or France: via A12 Zurich-St.Gallen-Bregenz-Feldkirch-Arlberg-St.Anton or via B171 to Oetztal-B186 to Oetz/Sautens. From Italy: via Brenner to Innsbruck-A12 to Oetztal-B186 to Oetz/Sautens. Meeting point for the canyoning tours is the climbing tower at the Bike Center Oetz. From Innsbruck, take the A12 motorway, direction Bregenz. Leave the motorway after about 35km at the exit Reutte / Fernpass / Mötz. At the exit intersection, turn left and after about 300m turn left again towards Haiming /Silz. Follow the main road (B171) for about 6km through the village of Silz and continue to the first Haiming junction (East) there you turn right into Haiming. Leave Oetz and drive out of the valley along the main road to the industrial zone Ötztaler Höhe. At the first roundabout take the first exit right towards Telfs / Haiming / Imst. At the second roundabout take the first right direction Ötztal Bahnhof / Haiming. Follow the main road (B171). After about 2.5km on the right hand side is a Bar called “Oilers” and a camping ground. Turn left into Haiming after "Oilers". After leaving the main road follow the side road (old road) straight through the village of Haiming. Continue for about 2km until you cross over the green iron bridge over the river Inn (while driving through Haiming you will pass the companies of Wiggi Rafting and Faszinatour). Immediately after crossing over the river, turn sharp right. After about 300m on the left hand side is the Feelfree Rafting base (with its beach volleyball court). Canyoning The base is in the same area as the Nature Resort Ötztal, Bike and Adventure Camp Ötztal Valley Center. On the A12 motorway from Innsbruck take exit Haiming / Ötztal (about 40km). After the exit to the roundabout exit towards Oetztal. Upon entering Oetz continue (on the left is a Shell petrol station) and before M-Preis Food-Supermarket right into Piburgerstraße. Before the bridge turn right and then on the right side of the 4 star Nature Resort. The free parking is located below the plant, right at the height of the climbing tower. Station "Oetztal-Bahnhof" on the Western Railway: approx. 5 km away from Oetz, regular bus service to Oetz/Sautens; trains from Innsbruck, Salzburg, Vienna, Zurich, Munich; direct buses to Oetz/Sautens three times the day from the bus station Innsbruck. Flights to Tyrol (via airport Innsbruck)! 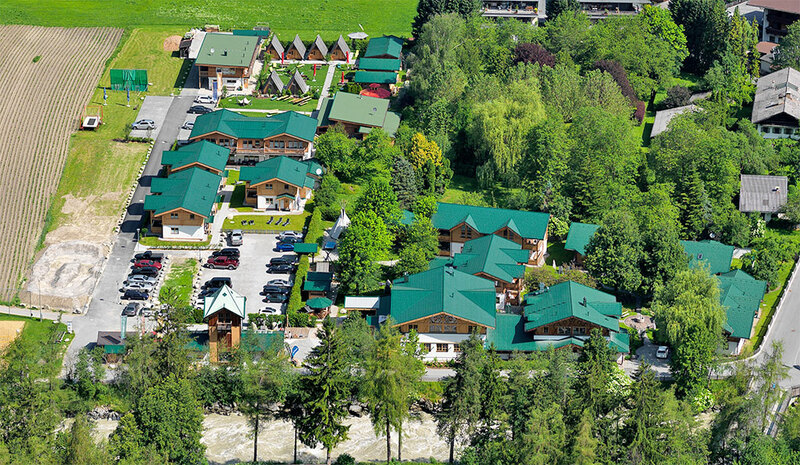 Are on the grounds of the raft base, the 4 star Nature & Active Resort and Sports & Youth Camp plentiful!